ISA offers the hands-on, expert-led industrial cybersecurity courses that leverage real-world equipment supported by industry vendors. 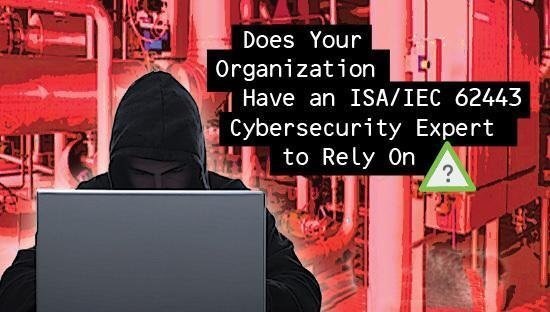 Using an Operational Technology focus rather than an IT focus, ISA’s training teaches engineers and technical professionals how to identify vulnerabilities and protect systems from cybersecurity attacks. ISA’s cybersecurity courses and exams are built on the solid foundation of the ISA/IEC 62443 series of industry consensus standards, which give requirements for security assessment, design, implementation, operations, and management of devices and processes. The series of standards cover the complete lifecycle of cybersecurity protection, are a part of the NIST US Cybersecurity Framework, and have been developed in coordination with government and academia. To earn Certificates 1-4, individuals are required to complete the related classroom training course and pass the electronic exam for each designation. To earn the ISA/IEC 62443 Cybersecurity Expert designation, individuals must successfully complete certificates 1-4.